A quick visit to Rotten Tomatoes will show that the critics love Star Wars: The Last Jedi—and it appears that Lucasfilm and Disney do, as well. 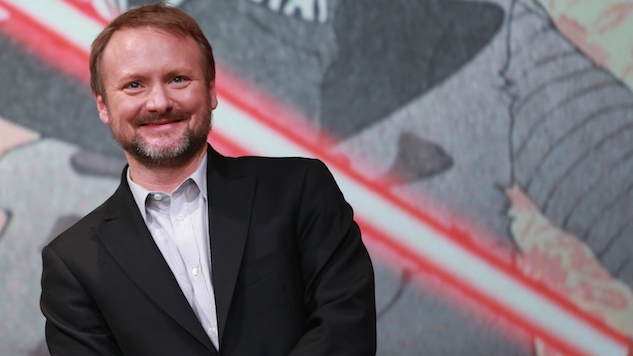 The teams behind Star Wars surprised us all last month when they announced that The Last Jedi writer-director Rian Johnson would helm a brand-new standalone Star Wars trilogy. One would think that Johnson must have pitched an amazing story, but according to Johnson in an interview with /Film, he didn’t even need one. No. It came about because we were getting to the end of making this and again, I knew I wasn’t doing the next one. And I had had a really good time not just making this movie, but working with Kathy and also working with Disney, working with Bob Iger, Alan Horn, and Alan Berg. And we just had just a really good experience. And we were all … it was like last week of senior year. We were cleaning out our lockers. And all getting kind of sad. And saying, how do we keep working together? And that I threw out, I said, the most interesting thing to me would be a new trilogy, one story told over three movies. Go new places, meet new folks, come up with a new story to tell in the Star Wars universe. The sky’s the limit. That sounds thrilling. And they really responded to that. So we’re off, yeah. So it sounds like the pitch from Johnson entirely consisted of, “it’s me again, making more Star Wars,” and that alone was enough. Johnson’s positive experience with Lucasfilm is an anomaly, seeing how the studio has had quite a bit of bad luck, sidelining Gareth Edwards from Rogue One, firing Phil Lord and Christopher Miller from Solo and replacing Colin Trevorrow with another Lucasfilm/Disney success story J.J. Abrams for Episode IX. See how good The Last Jedi is for yourself this Friday, Dec. 15, and be sure to check out our own (overwhelmingly positive) review of the film here.